Hot Foiling charge for 51 to 100 Mounts. Charge is for each mount that is personalised. The same amount of charges as mounts or folders needs to be ordered, plus one Personalised Mount Layout & Design Charge. 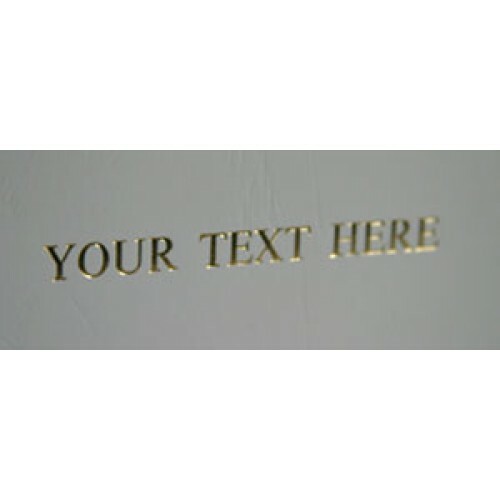 Please add text to be embossed in the order notes, or e-mail us with your order number. 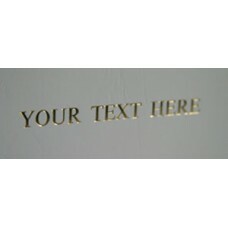 Please add text to be embossed in the order notes, or e-mail us with your order number. Up to two lines, max 38 characters per line including the spaces.